The rabbi befriended fellow spiritual seekers like Timothy Leary. 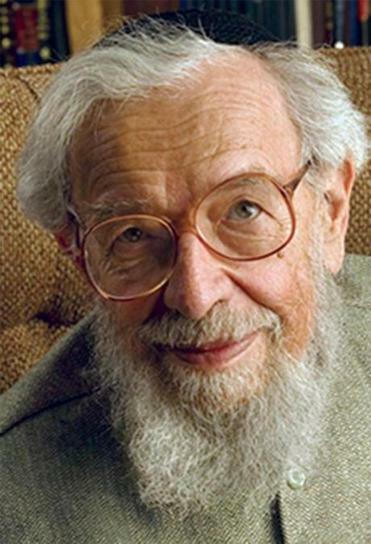 NEW YORK — Rabbi Zalman Schachter-Shalomi — who was considered the spiritual father of the Jewish Renewal movement, an influential camp of religious pioneers who reintroduced to synagogue services ancient Judaic traditions of mysticism and meditation, gender equality, and ecstatic prayer — died July 3 at his home in Boulder, Colo. He was 89. His death was announced by Aleph, an umbrella organization that represents about 40 Jewish Renewal congregations. Rabbi Schachter-Shalomi’s strain of Judaism had its roots in Chabad-Lubavitch, a branch of Hasidism that itself began as a revival movement in 18th-century Russia. But he traced the spark for his renewal movement to the intellectual and spiritual ferment he encountered on American college campuses in the 1960s. As an ordained rabbi of the Lubavitch movement, which sends emissaries around the world to keep the Jewish faith alive, he was dispatched to meet with secularized Jewish students across the Northeast. Along the way, he befriended fellow spiritual seekers like the psychedelic guru Timothy Leary and the Roman Catholic mystic Thomas Merton. His exposure to Eastern religion, medieval Christian mysticism, and LSD — he had the first of a handful of hallucinogenic experiences in 1962, under Leary’s tutelage — helped him to formulate some of the innovations he brought to contemporary Jewish practice. The Chabad-Lubavitch movement began distancing itself from Rabbi Schachter-Shalomi later in the 1960s. By then, he was introducing college audiences and members of a congregation he led in Somerville, Mass., to Judaism’s spiritual traditions of meditation, mysticism, and devekut. Dr. Schachter-Shalomi received a master’s in the psychology of religion from Boston University while serving as a congregational rabbi in New Bedford. He received a doctorate in theology from Hebrew Union College-Jewish Institute of Religion in Manhattan.